As I said, it could be another car of yours that I do not have installed. I already did a total of 1 and a half hours of tests without crashes. Is testing with low stream memory? Did you tried Vehicles Test mod? I can send you mine gta3.img, if it's needed. Done VehTest before crash, and it was on tug, which is stock. Reinstalled it, deleted from cargrp, still crashes. That the only cars, that have Vehfuncs, installed. Unhandled exception at 0x0059BD39 in gta_sa.exe (+0x19bd39): 0xC0000005: Access violation reading location 0x00000010. WIth noDEP.asi also crashes, so it's not DEP. As I said, this makes crashes more difficult to reproduce. 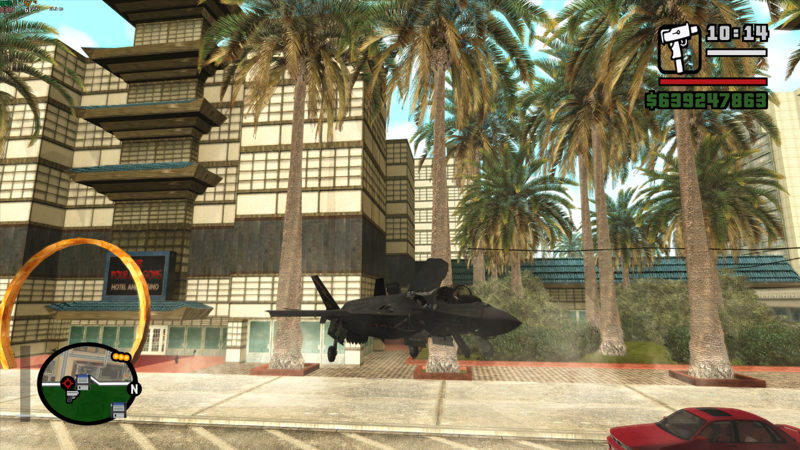 Type "STRESS" and CJ will be flying around the map randomly (you can choose which local on .ini file, as so the camera rotating and speed). Try using fastman92 limit adjuster to have a different log, it can help with something. So you can remove the cars until you find which one is causing the problem, the tests should be faster and you do not have to be driving around wasting your time. In fact this mod may be useful for several cases, I'll try to improve it soon. Is it any other way to detect car, that cause crash? Stress test crashes after-5-10 mins, with 0x004C53A6. Fastman limit Adjuster don't give log, idk why. Settled in ini file logging, but nothing. Deleting each vehicle is long way, i will try to reinstall mine cars on clear gta3.img later, if nothing will help. 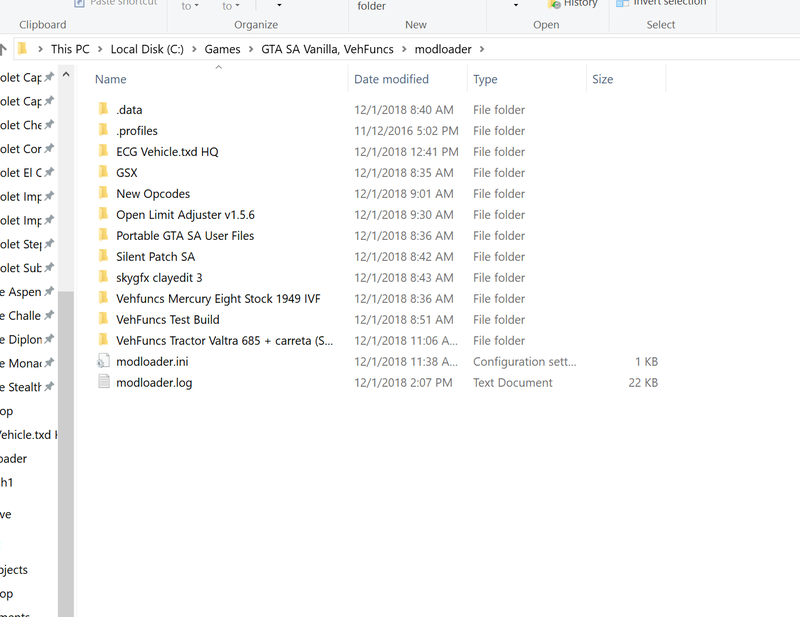 Why you use gta3.img instead of ModLoader? It does not seem to me time consuming, as you said, in the worst case, 10 minutes, if you have 10 cars, you do the first test with 5 cars, if crashes, the problem is in these 5, otherwise the problem is in the other 5... The next test will be with 2 or 3 cars, and in the next you find out which car. 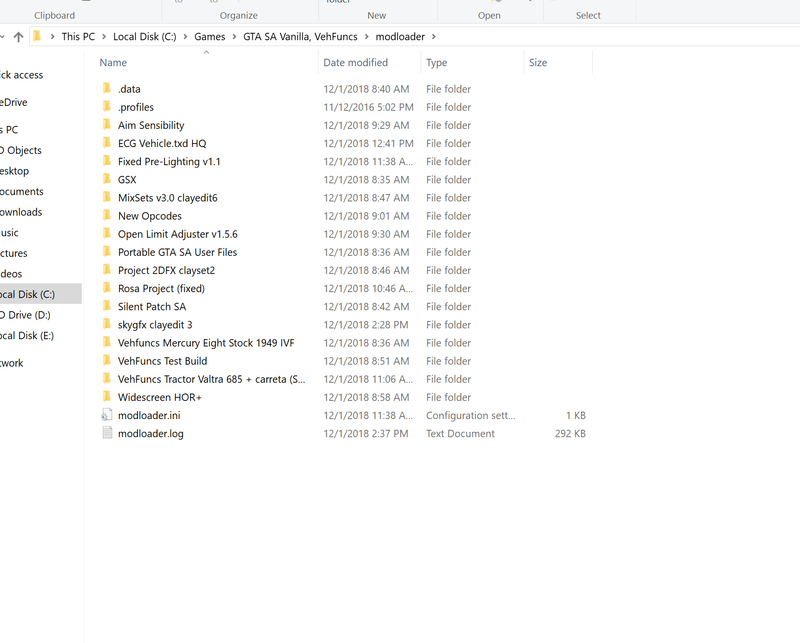 Remembering that with ModLoader install and uninstall just move the folder or put a ". " 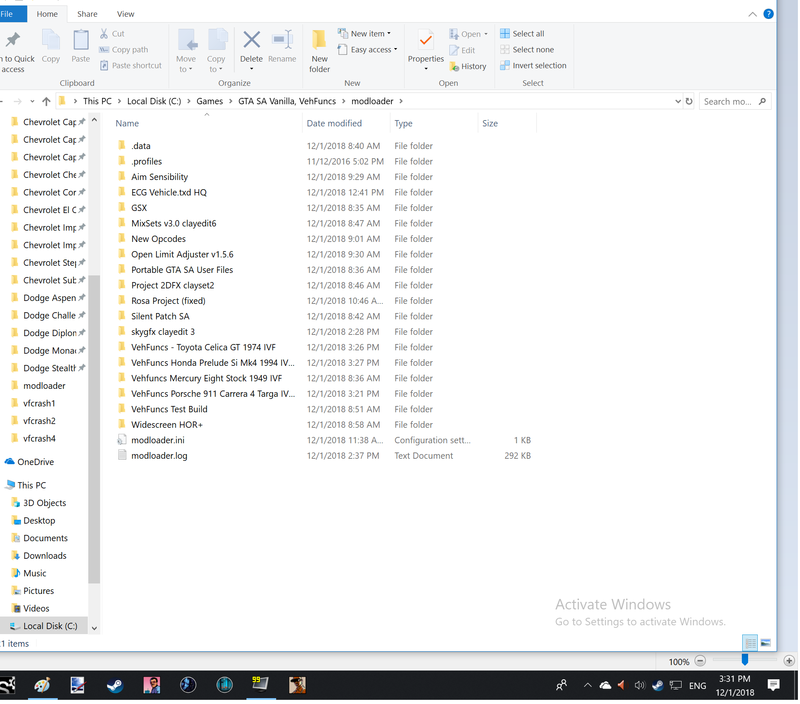 on the start of folder name, super fast. Hey Junior! hope not to be the wrong moment for this but Could it be possible for having the 4th body color feature available on every car? if I'm not wrong, it doesn't even work in the stock models, I've made some tests for corroborating that and in fact, the vehicles set by default with a fourth color doesn't even use it and also while checking it in Zmodeler or 3DS Max the result will be a spec-only material losing the 4th color configuration. I think that it could be directly related to a specific material color perhaps. But well, that's my suggestion it could be really useful for making colorable calipers instead of using textures, also good for tinted windows or painted engine blocks. ImVehFt has something similar but as always, it needs a lot of work by the modder to make it work. It works, Tuning Mod uses it like a charm. It﻿﻿﻿ works, Tuning Mod uses it﻿ like a charm. Talking about that, I've seen that TM has a function for changing headlight's colors, could it be possible for having it as an independent feature or being part of mods like Mixsets or Enhanced Classic Graphics? so we could set it for NPCs vehicles. It works by just installing TM.asi, I don't know if will be available with separated .asi. I'll post it here soon. This mod breaks Al_Planes. Which is a mod that is used in a lot of if not most of the high quality aircraft mods. I guess it's kind of like VehFuncs for airplanes? As far as I can tell I think the spinning landing gear is all that is broken on this one. 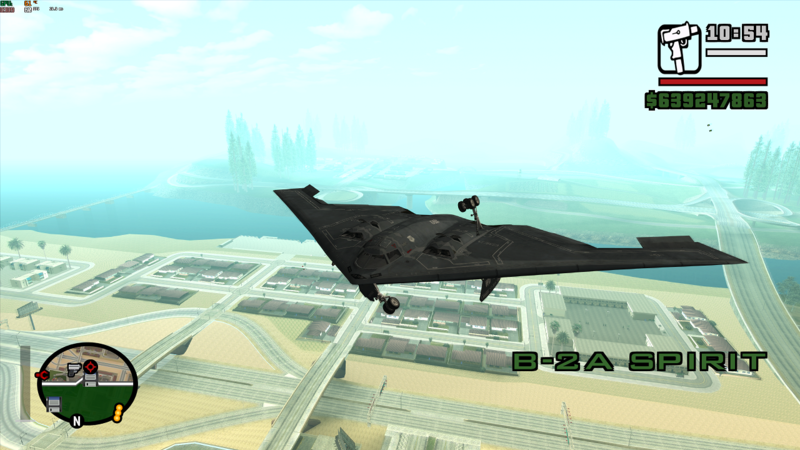 The B-2A comes with Al_Planes. Some planes come with Al_Planes, and some planes come with Al_Planes 1.1. And even some newer planes released don't use 1.1 they use what i think is an old version? I hope I don't sound like some idiot using 2 versions of the same mod. The planes that use the first version wont work without the first version and the planes that use 1.1 wont work without 1.1 so I keep them both installed and haven't noticed any problems. It's harder to tell in this image. VehFuncs installed with Al_Planes (both versions) causes some parts to behave strangely on the planes Al_planes is used on. on the F-35B it causes the front landing gear to spin in circles parallel to CJ, and also causes the fan of the F-35B to - instead of spinning normally - to spin like how a coin spins on a table when its almost done spinning. I hope I don't sound ungrateful coming up in here and saying this after never posting in here. Vehfuncs is SO COOL. I had my eye on it since I starting modding SA again like a month ago after being away since I was like 15 so... 2012? I've been trying to make a Mona Lisa build that is faithful to the original game and doesn't ever crash (I think the latest model year car I have installed is Mad Driver's Diablo SV '95, I've replaced pretty much every car in the game that has a quality mod that is usually similar to the car it replaces). Today Mad Driver Uploaded his '78 Fury LAPD and it has VehFunc support and I was like f*ck I have to try VehFuncs. Edit: i also found mixmods today and found like 10 mods I didn't know I needed lol. My favorite being Ambient taxi, even though that's a small one. VehFuncs does not have the functions from ImVehFt! It only fixes the off coloured lights when using adapted cars without having ImVehFt installed. @LaDiDa, I doubt that that's what he was asking. Are﻿﻿ they controls for using it on Adapted c﻿ar﻿s﻿? No, there are no controls for any of the current functions. Have you tried placing them in the game directory instead of inside Modloader? ImVehFt is really unstable with highly modded games but since we don't know which version you are using (2.0.2 or 2.1.1) helping you fix those issues is harder. @xXKenBlockXx this also happens with ImVehFt? Not sure if you're asking if it happens with IVF installed without having VehFuncs installed too or if it happens as a result of having both IVF and VehFuncs installed. But it does not happen when only IVF is installed and it does happen when only VehFuncs is installed and when VehFuncs and IVF are installed at the same time. I see car with 2D engine floating in the air and then within a minute - crash. I don't have a log. I know perhaps I'm not being very helpful. 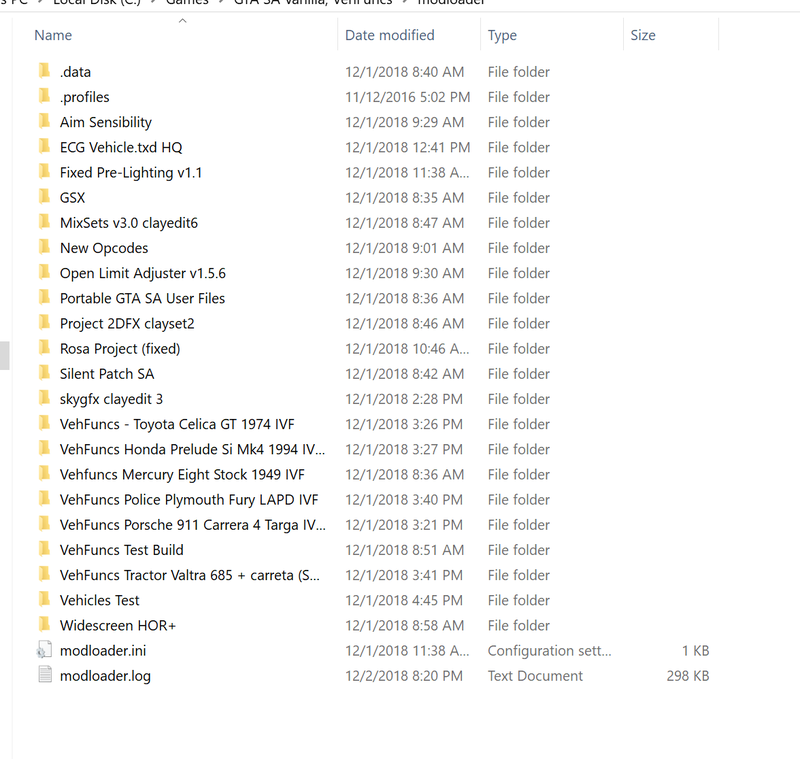 I'm still new to using modloader log and MixMods' Crash List. Btw this is a completely separate issue from Al_planes. I have that mod uninstalled along with all the plane mods. Happened with Avant's Prelude both times. But I won't lay the blame at that particular car because I only have a handful of VehFuncs cars installed and I replaced the bravura which is f*cking everywhere. Again not trying to be THAT guy here. I'm very grateful for VehFuncs. Just letting you know what's up. 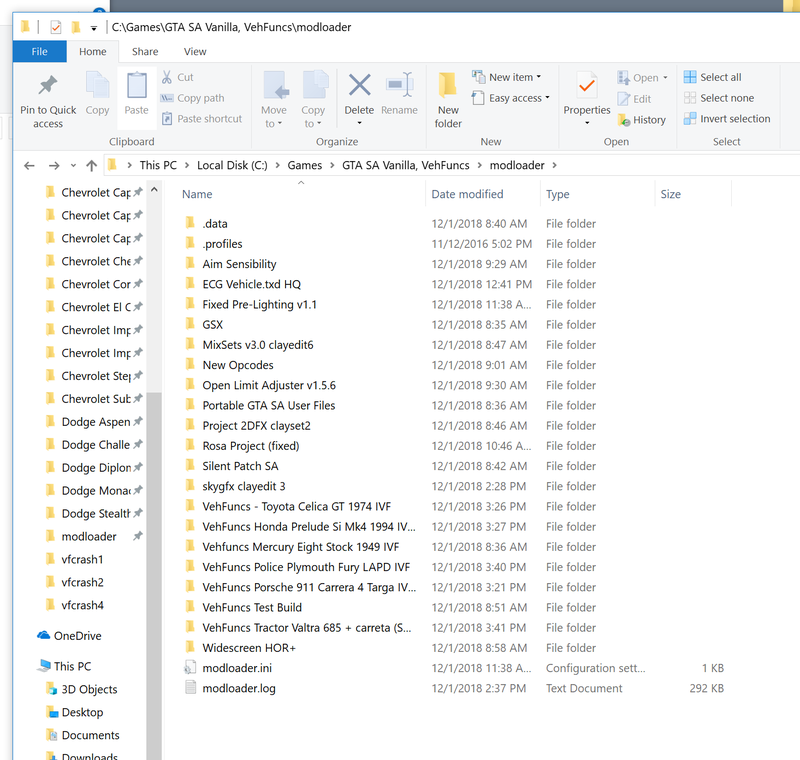 I'm still new to using modloader log and MixMods' Crash List. But you just had to send the file to me. When the issue happened, where did the car come from? Were you driving it for a long time? How long was in the game? Was it a newly created NPC? When the issue happened, where did the car come from? Were you dri﻿ving it for a long time? How long was in the game? Was it a newly created NPC? I was not clear. The first crash happened at Otto's Autos in SF (I replaced the Bravura with the Prelude). The car spawned on the top floor, I drove it out of the window onto the street and then within a minute my game crashed. I was just sitting there, looking at the glitched 2D engine. I did not think the crash was related to the car at this time as I was just driving around waiting for a crash from other mods so I could check the log and see what's up. I have about 15 logs on my desktop right now. I just started keeping track the other day and I haven't done a good job of keeping track of what happened what the circumstances were. I don't have the log for the dealership crash. An NPC was driving the car south down the highway. I noticed the 2D engine glitch, stopped the driver, got in, and was looking at the glitch, tried to take a couple screenshots, and then my game crashed. When I exited the game I noticed my screenshot hotkey wasn't what I thought it was. At the time I wasn't aware of Avant screenshot on here so I really wanted to get a screenshot of it. I didn't even think about the log. 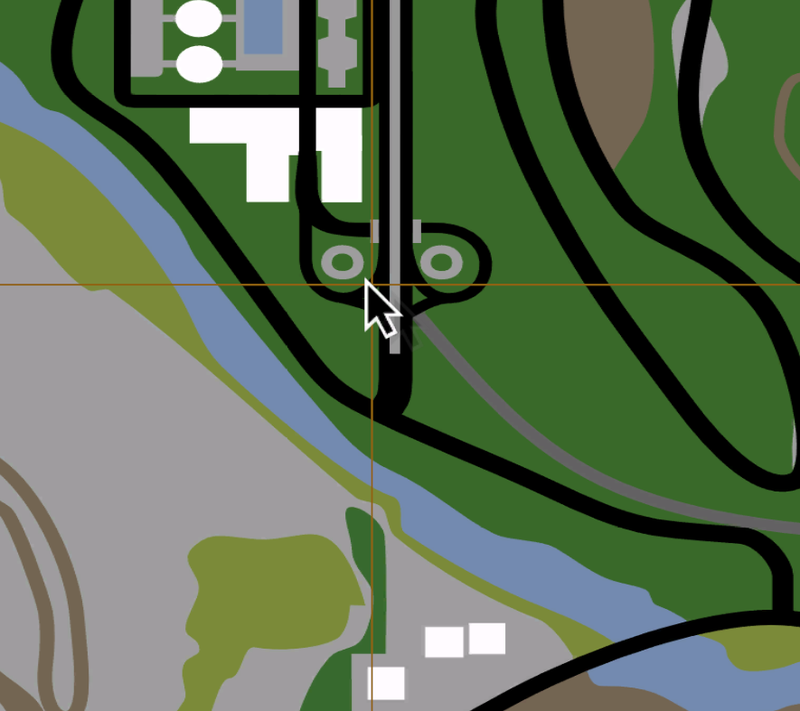 I launched the game again, spawned the car about 40 times with Call Vehicle by Image 1.7 - nothing. Drove around for 25 minutes - nothing. I saw the car driving around but not with the glitch. I got frustrated and just uninstalled the car. I was or maybe am getting some crashes that I don't think are related to this issue but I'm going to list them in case of the possibility it is related and sounds familiar. THIS IS NOT FOR YOU TO FIGURE OUT FOR ME IF IT'S NOT RELATED. I'm just posting this in case maybe this helps something make sense. Problem: Already reported with the Tuning Mod. But I did not, and never have had Tuning Mod installed. I thought it was maybe noDEP or IndieVehHandling because I downloaded Tuning mod and noticed it came with those - but even removing those two I still got the crash. I installed Tuning mod and havent gotten the crash since. It was only the other day, so it may be luck that i haven't gotten the crash again, but I think I'm in the clear. I can not say the circumstances where this crash happened. I was getting this crash frequently before installing Tuning mod. Problem: Apparently some buggy vehicle. Solution 1: Check your vehicles, Test Car Load can help. Use it by unloading the vehicles as many times as necessary. A 4 times already should help, but there are cars that are hard to crash, there have been reports of cars that only caused crash only twice in 60 shipments! Solution 2: If you use AVP Reborn: Found by Luiz Felipe: Remove or replace Police Rancher (copcarru.dff and txd) from AVP Reborn. Remembering that AVP Reborn has been upgraded to fix crashes on other cars too, so download it if it did not download. Solution 3: It was reported to have used two handlings at the same time, it was sufficient to delete one of them and to continue with the other. That is, it may be related to misconfiguration of handling lines. I got this crash a few times randomly driving around. I ran Vehicles Test about 120 times and got one copcarsf crash and two hpv1000 crashes. I am using MAD MAX GCU's SFPD Impala and Improved SA Default Cars v0.7.2 HPV-1000. I uninstalled the Prelude and ran Vehicles test over 80 times and no crash. It may be luck but I think there is a relationship. Again if this doesn't make sense my crash is mine to figure out but I wanted to post in case there is a relationship. I'm going to test your fix right now. I'll report back later tonight or tomorrow. I'll message Avant too. That "0x004C7DAD" crash is related to the wheel model. Probably simply a modeling problem in some vehicle... ...but could also be a problem with VehFuncs' wheels? It would be better for you to send the log, because only the address does not say much. I think if the person does not install a "normal" wheel (even if it is just a placeholder, like a triangle inside the dummy) and install the wheels entirely with the VehFuncs, the vehicle will be considered "without wheels" and will cause this crash. If this is true, I don't know if I should try to do something with the VehFuncs to "workaround" this or simply just warn the creators of the cars to consider this. I've done a lot of testing. Last night I played with a heavily modded build and got 3 crashes over an hour and 15 minute period. But none of them seemed related, so I wont deliberate on these. This morning was perhaps useful. Clean install then lightly modded. Although I still have more testing to do. I have not encountered the engine glitch at all. Just crashes. 1.0 US Hoodlum Largeaddress patched. Unhandled exception at 0x004C53A6 in gta_sa.exe (+0xc53a6): 0xC0000005: Access violation writing location 0xCC6DDDD0. drove from sf safehouse to lv. messing around a bit from point a to b.
crashed in LV in Mad Driver's Carrera northeast of the Strip. Unhandled exception at 0x004C53A6 in gta_sa.exe (+0xc53a6): 0xC0000005: Access violation writing location 0x4FD783C0. Spawned Mad Driver's LSPD Fury after driving in LV for a bit. Okay I did not log this one for some reason. I know I used Junior's save. I drove around for I want to say 35 minutes. Went between Mad Driver's Mercury and Junior's Valtra 685. No crash. Unhandled exception at 0x004C53A6 in gta_sa.exe (+0xc53a6): 0xC0000005: Access violation writing location 0x51FA8F0C. Again I did not log for some reason. Junior's save. Drove around in Mercury. Crashed 15 minutes in. Next attempt will be less mods, more cars. I'll start running Vehicles Test a ton. Then I'll do the same with more more mods. See if I can't find out if it's the mods causing the crash or the cars. I have full modloader.log and VehFuncs.log. Let me know if you care to see anything else. Unhandled exception at 0x004C53A6 in gta_sa.exe (+0xc53a6): 0xC0000005: Access violation writing location 0xF21D71B0. Obviously the Nevada didn't cause this, but the game crashed due to something else. Also in case you're wondering my modloader doesn't have any duplicates of anything. No duplicate handling lines or anything like that. Gonna wait to continue testing till' I get some feedback. Don't want to be digging in the wrong direction. Thanks for the fix by the way. I know you're busy with Tuning Mod v3 too. Very good tests, and there is all the same. But are you sure it does not happen without VehFuncs installed? As I said a while ago, this crash happened to me after a few minutes, and after a fix it never happened to me even after hours testing ← everything here lasted more than 1 week. And this crash was already reported when VehFuncs did not exist yet, so it may have no relation to it. Or it's in some very specific car that I had not installed here. But are you sure it does not happen without VehFu﻿ncs installed? Yeah I think you're right. Now that I think about it, I don't think it's VehFuncs causing it. Plus I tested for another 2 hours tonight on a heavily modded build (110+ including cars and weapons). No crashes at all. I think we're in the clear! But did you test without it, with the same cars, and didn't cause the crash? Did more testing tonight. No driving around tonight. Just Vehicles Test mod. Made some significant discoveries I think. Used my test build from the other night not my 110+ mod build. This attempt was just to replicate the crash. Unhandled exception at 0x004C53A6 in gta_sa.exe (+0xc53a6): 0xC0000005: Access violation writing location 0x711158F4. Only difference in build from attempt #1 is that I removed VehFuncs. Okay. So let me explain my logic behind this test. I found the modloader log from my second encounter with the glitched engine. Unhandled exception at 0x004C7DAD in gta_sa.exe (+0xc7dad): 0xC0000005: Access violation reading location 0x00000040. It is Tuning Mod crash! So I did a test with the same build as #1 but this time with Tuning Mod 2.1.1 installed! Same as Attempt #1 only with addition of Tuning Mod. So maybe VehFuncs is either reliant on Tuning Mod in some way or Tuning Mod fixes the crash somehow? I know one run may not be enough to be definitive. Let me know if you want me to replicate these tests or do anything different. If we can figure out exactly which car(s) would be great, so I can filter the features and test it faster (maybe just create and delete that problematic car will crash in few minutes or seconds). Hey @Junior_Djjr, hoping it's not the wrong moment to ask this but, are you in for some suggestions? I know that you're busy, as always, with the rest of your projects but could be great to have animated parts at will (...) since the function for rotating parts is already possible, a great addition could be to use it for toggleable/controllable parts. And the possibilities for such function are not just that, you could eventually use it to animate parts between certain grades like how doors or pop-up parts do, and if someone's enough smart can use that function to mimick, for example, a convertible roof, secret compartments, etc. Other people said the same thing, try to make any relation of command and reaction, be it speed, angle, order etc within the .dff should be horrible. A single node rotating may be acceptable, but it would not do much to do more than this, link a relationship between one and another and create an order of animations (eg a dvd player first goes forward, rotates, and then goes backwards) would be a lot of headache. It is better to create each independent function, so I can also have the freedom to add features (for example an animation on the screen of the DVD, not that I think at the moment, but it is an example). Including, if anyone has some well-adapted convertible car mod for me to use as a base to make the folding roof (preferably hard-top), send it. With this mod i can create moved belt ammo and enhanced rockets in Hunter like in gta V ? Trying to fix 0x004C7DAD crash, and bugs (and crash?) caused by f_shake parts (after a long time I noticed this bug happening again). Also fixed IVF incompatibility and some other bugs of extras.